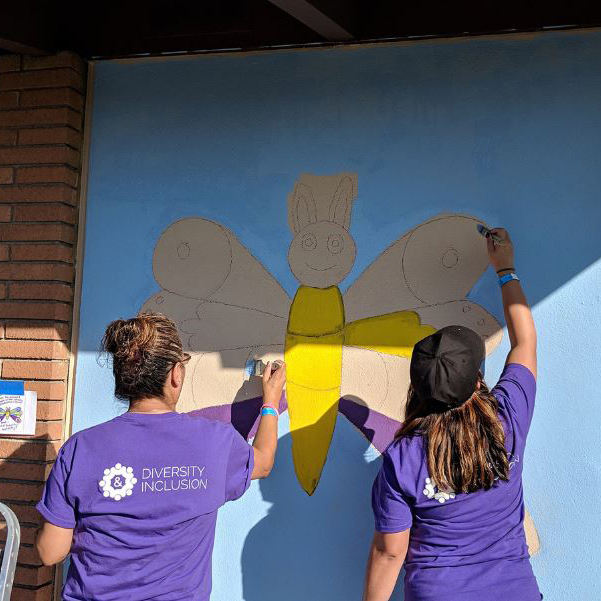 Inland Empire United Way (IEUW) and QTC employees volunteered and worked together to give Live Oak Elementary School a campus makeover. The school was transformed into a dynamic and visually stimulating learning environment that students, parents, and faculty can enjoy. Volunteers gathered on Saturday, October 27, 2018, and donated their time to complete a total of 5-10 projects including murals and playground transformations. The walls were themed with various academic, college readiness, community, and school values. It is wonderful to show these students how much their community cares about them, invests in them and continue to show them that they are important. See additional posts about the volunteer work done by the QTC team here.